The Dayspring PTO is dedicated to supporting the school’s mission, working closely with administration to advance the spirit of service to meet the volunteer needs of the school and enhance community through social activities. We provide refreshments to students and parents as they come in to meet teachers and register for the upcoming school year. We have a few fundraisers throughout the year with our kick off event being Smart Cards. These coupon cards are available for all counties in Middle Tennessee and Southern Kentucky and include valuable discounts for many local and regional retailers and restaurants. 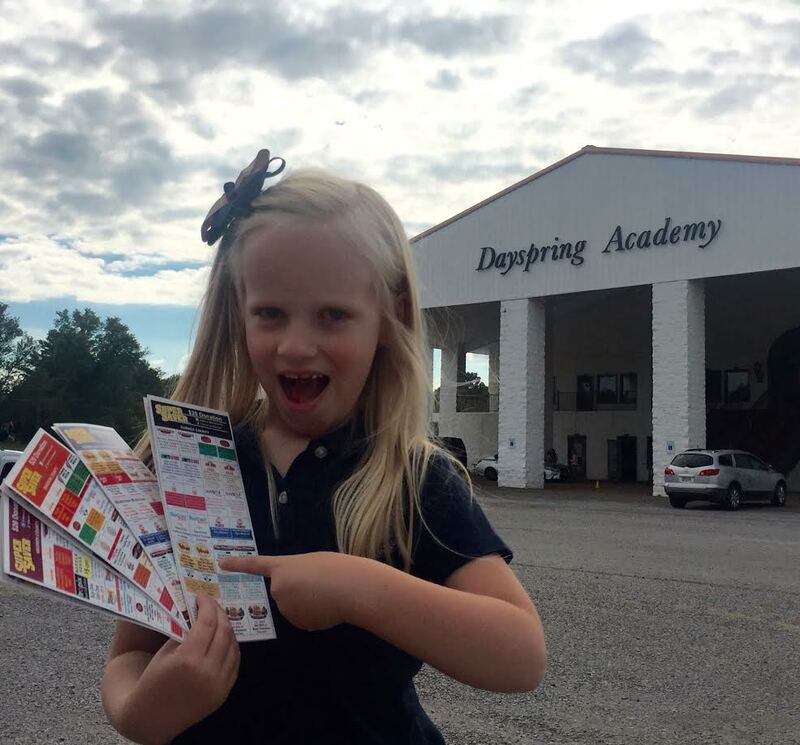 This annual event is one of Dayspring’s favorites. All grandparents are invited for lunch and classroom activities. We like to give something special to our visitors that day as well. Each fall Dayspring holds an indoor carnival, fish fry, and silent/live auction. This event is typically held the first weekend in November. This event is a fun and easy fundraiser. Students can purchase balloons to be delivered to students or teachers at school or to take home for any other special friends and family. We love to pamper our teachers! Some appreciation events include manicures, catered lunches, and other fun events! Each spring Dayspring holds a Spring Bazaar including various food, craft, retail, healthcare and more vendors. This event is held annually in April. This annual event is a great way to unwind at the end of the school year. We plan a full day of games with lunch and prizes for the elementary students. Every Friday morning we set up the Shire Cart with school supplies, healthy snacks and novelty items.